I grew up in Canada, a nation of tea drinkers. After I moved to the States, I drifted away from tea, and at age 40 took up with coffee(a late bloomer). But a few months ago I started making tea for myself in the morning as a way to start my day, and I’ve found it to be a good anchor for planning. As an artist, I’ve had some challenges with drifting through my day, and some bursts of excessive research on the best way to plan my day. 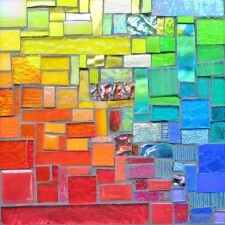 Last month, I signed up for Alyson Stanfield’s Get Organized! online class for artists, and am practicing looking at my online task list each morning and evening. Do you have any rituals for starting your day? 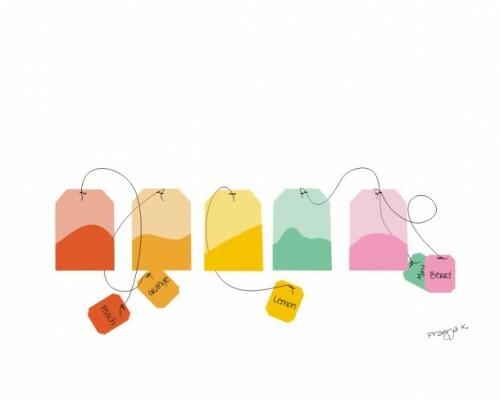 Pragya Kothari, Philadelphia based illustrator, created these cool tea bags. I drink coffee in the moring, but tea in the afternoon and evening. I have a cup of “Evening in Missoula” next to me right now. My morning routine includes checking blogs, messages, and breakfast, a bit of interaction with my four sons, then off to the most pressing task at hand. Thank you for sharing a bit of your routine!